In today’s fiercely competitive economic climate organizations require timely access to data and information to help them monitor business performance and make informed decisions to deliver stakeholder value. Typically, Small and Medium Enterprises SMEs are owner managed entrepreneurial companies. Most entrepreneurs make their business decisions based on their past experiences and gut feelings. Some who are tech savvy use spreadsheets to store their data, analyze company performance and help them in the decision-making process. This approach can be adequate when the organization is small, however as smaller companies grow or face stiff competition, it becomes imperative that right decisions are based on the more intuitive information. Over time businesses accumulate a significant amount of data, but often this information is not available to the decision makers at the right time and in the right format. Business Intelligence (BI) is the hottest buzzword talked about in every industry vertical and considered to offer a unique advantage to organizations of all sizes. It can be defined as the ability to analyze meaningful information from the data available to the organization, for the purposes of supporting decision-making, improving business performance and realizing higher gains. The concept of Business Intelligence [BI] has become significantly important for every small and medium enterprise, especially when small differences mark the big differences between failure and success. Like large organizations, SMEs can also realize the potential benefits of using a BI Solution. However, SMEs owners and managements still have some myths to dispel. Business Intelligence is a concept that requires an analytical tool to analyze business data stored in a database. The core of a BI solution is the underlying data model, which is developed based on the organization business requirements. The data model integrates the data, incorporates the business rules and utilizes the power of the analytical tool to produce the information required for decision making. SME owners should focus on ensuring that the data model meets the business requirements rather than the acquisition of the technology. Unfortunately, most BI vendors try to impress the business users with the data visualization aspects and give the perception that dashboard means Business Intelligence. But in reality, the concept of business intelligence spans the people, processes, and tools required to organize and store data, enable access to it and present meaningful information to the business users promptly. A dashboard is a graphical interface of the BI tool that is created to display the current status of metrics and key performance indicators (KPIs) for an enterprise in a single screen. It can be tailored to a specific role, or a departmental view. SMEs owners should focus on defining the metrics and KPIs that are relevant to their business rather than evaluating the data visualization aspects of the tool. Traditionally BI solutions have always been custom built and implemented on-premise. Custom BI solutions typically have longer implementation life cycle, because of the technical complexities involved in integrating the various technology components and the business systems. It also required an investment of time and specialized resources which made it difficult for SMEs to adopt a BI Solution. The good news for SMEs is that they no longer have to worry about investing in a custom-built BI solution. SMEs can opt for industry specific prebuilt business intelligence applications that offer greater value as compared to a custom BI solution. Historically, BI vendors offered on-premise solutions with flexible deployment options but, this required significant technology, human capital, and financial investment. In the past, due to the huge financial investments required, it was practically impossible for the SMEs to acquire a BI solution. With the advent of Cloud based Business Intelligence technology has completely eliminated the investment and resources required to deploy a BI solution. Prebuilt BI Solutions are now being deployed in a private or public cloud, and some of them are offered on a subscription (rental) basis, thus allowing SMEs to shift from the capital expenditure (CAPEX) to operational expenditure (OPEX) model. SMEs can now harness the power of BI technology without the need for substantial investment in resources (financial or intellectual). It is a very well known fact that choosing any IT solution requires a degree of technological skills; in most large organizations it is the specialized IT personnel who are responsible for selecting and implementing most of the IT systems including Business Intelligence. Choosing the right BI solutions could be a challenge for SMEs as they may not have the adequate IT resources and skills. SMEs already have a deep understanding of their business requirements, which can help them leverage their business skill sets, by zeroing in on the functionality of the industry specific pre-built BI application and ensure that it meets the business requirement and helps them get timely access to data and information required to make informed decisions. With these pre-built BI solutions, SMEs do not have to worry about the technology aspect; that is the responsibility of the provider. Business intelligence is a set of technologies and process that enable people at all levels of an organization to derive actionable insight by accessing and analyzing data. It is not meant only for large organizations, but SMEs too can utilize it to monitor business performance, understand operational efficiencies, and explore untapped opportunities. However, it is important for SMEs owners to understand that Business Intelligence is totally ineffective if they cannot interpret the information and act on it. Technology definitely is required to achieve business intelligence but more important is the culture and creativity within an organization that will help deliver stakeholder value. For this reason, SMEs should focus more on becoming a data-driven organization and less on BI technology. 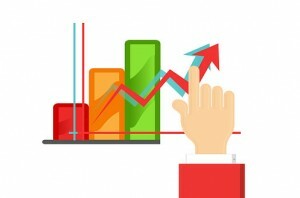 Next Next post: Can Pre-Built Analytics Help SMEs Optimize Business Performance?